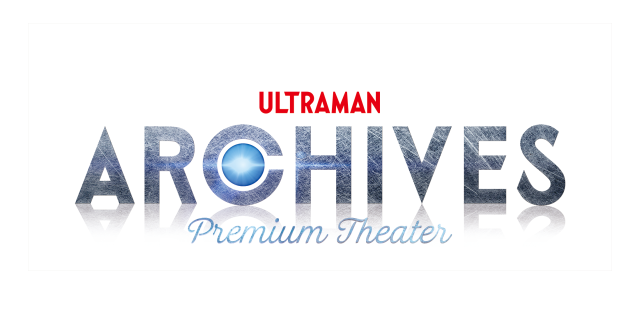 Tsuburaya has announced their third presentation for the Ultraman Archives project to take place on June 15, 2019. 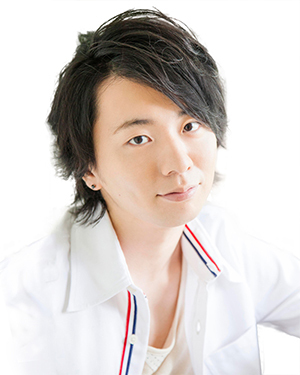 The Ultraman Archives Premium Theater Screening & Special Talk will be held at Aeon Cinema Itabashi, it will feature Hitoshi Katagiri as speaker, as well as a screening of Ultra Q - Tokyo Ice Age. It will be show live at 14 theaters around Japan, tickets are 3,000 yen for the main presentation, 2,000 yen at the other theaters. Special items will be available for purchase like with previous presentations. A video will be available of the episode as well. Suddenly, Haneda Airport in mid-summer was covered with cold air, and it was hit by abnormal weather that a snowstorm blows and freezes. Every day Shinpo Edogawa Yuriko met Hario at Ueno Station, where he moved to Tokyo from Akita in search of a father who did not go back to work half a year ago and went back to the company with him, thinking that it would be an article in a story, If the Haneda Airport incident is prioritized, it will be defeated. Instead, Yuriko, who was ordered to have an expeditioner to the arctic region for hints about the incident, visits Hoshikawa Air to consult with Manjome, who had a history of visiting Antarctica a year ago. 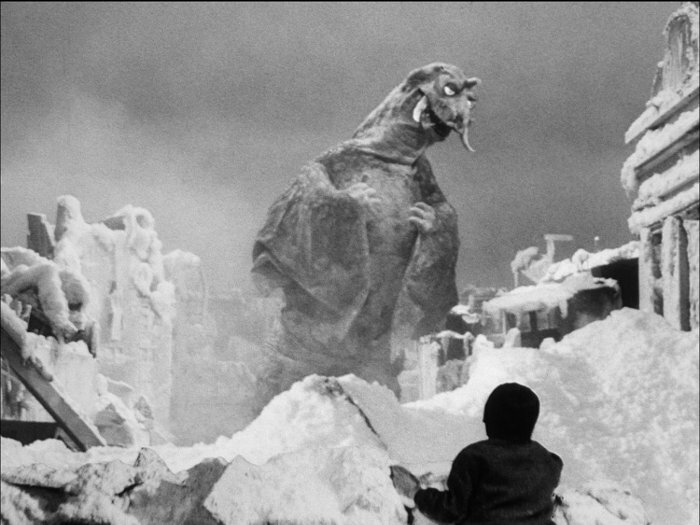 Manjome speculates that the incident is the work of the frozen monster Pegira encountered in Antarctica. 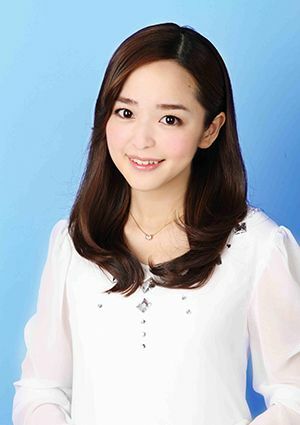 However, Yuriko, who contacted Seki Desk about it, was told to write a child's article because the cause of the cold wave was already found. However, it was Pegira that the dark clouds covered Tokyo sky and appeared from among them. 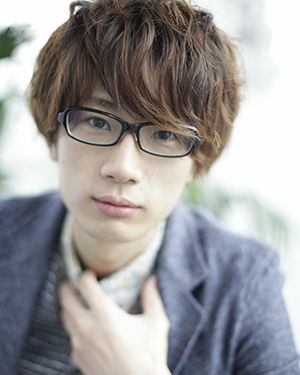 ​Tsuburaya has announced a new Ultraman series called Ultraman Taiga featuring Ultraman Taro's son. The series will start July 6th check out the info from Tsuburaya below. 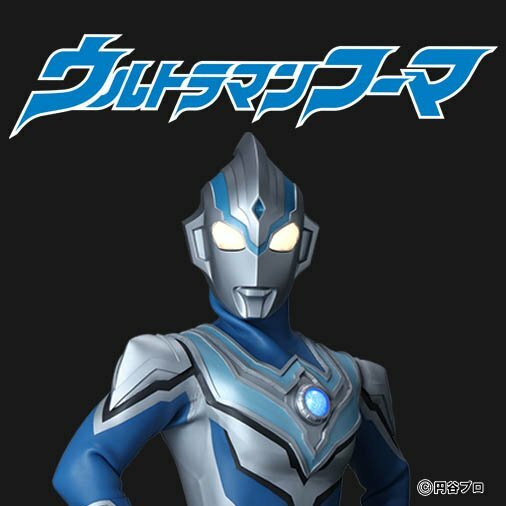 The New Hero is the son of Ultraman Taro! 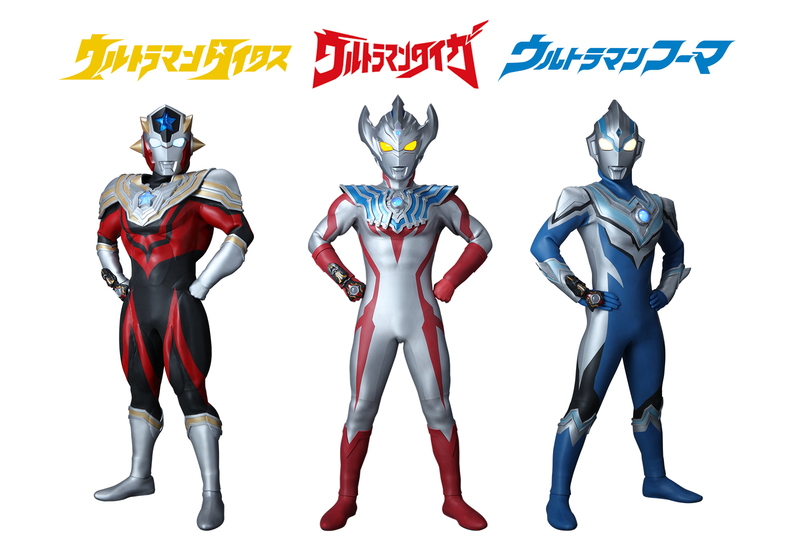 New TV Series ULTRAMAN TAIGA Broadcasting from July 6th (Sat), 2019 9:00 am on TV Tokyo ~First Time in the series! The main character Hiroyuki transforms into multiple heroes, Ultraman Taiga, Ultraman Titas, and Ultraman Fuma! Tsuburaya Productions Co., Ltd. (Head office: Shibuya, Tokyo. 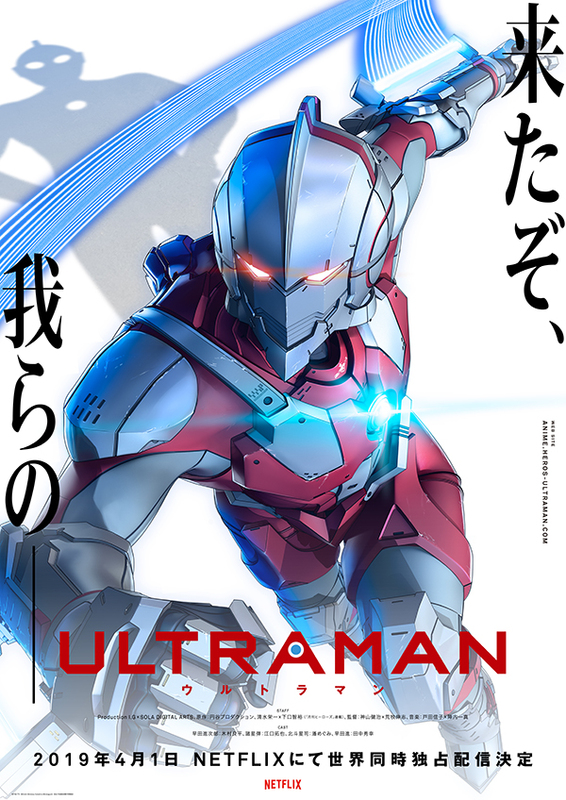 President and COO: Masayuki Nagatake) will be broadcasting the newest TV series ULTRAMAN TAIGA from July 6th (Sat), 2019 from 9:00 am on TV Tokyo. ULTRAMAN Series has been bringing heroes to the world for more than 50 years, since the first ULTRAMAN made its debut in July 1966. 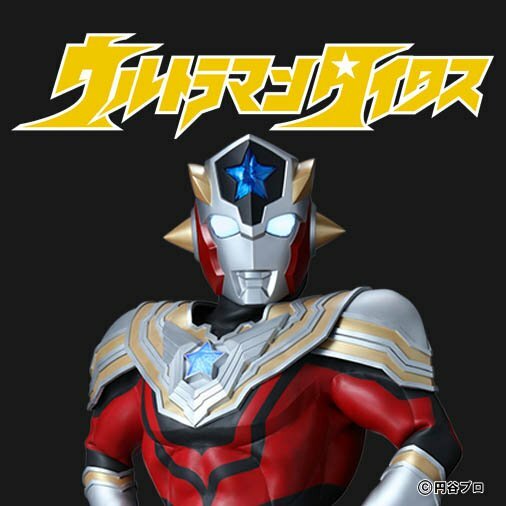 Ever since ULTRAMAN GINGA, which came out on 2013, Tsuburaya Productions has been producing “New Generation Heroes” series on TV Tokyo every year with the latest installment being last year’s ULTRAMAN R/B (Ruebe). 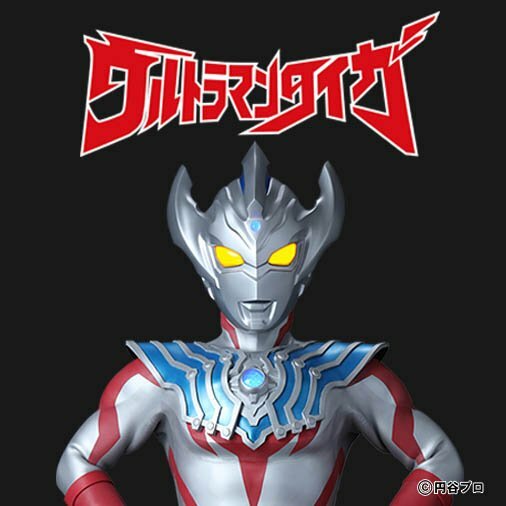 ULTRAMAN TAIGA marks the 7th of the “New Generation Heroes” series. First time in the series, the main character Hiroyuki Kudo will transform into 3 different heroes: Ultraman Taiga, Titas and Fuma. 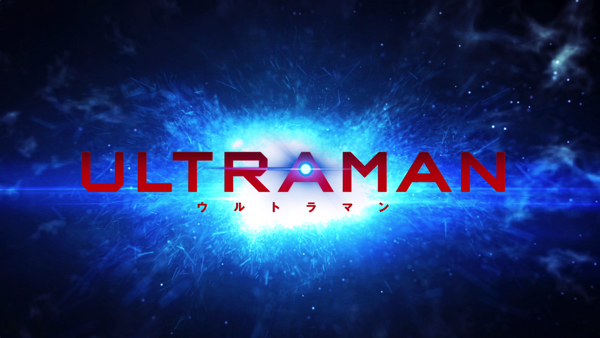 Please stay tuned for the newest Ultraman TV series ULTRAMAN TAIGA, the first Ultraman series after the new Japanese Era “Reiwa”. Aliens have been emigrating to Earth secretly, but only a handful knows about this truth. Living in such a society, the main character Hiroyuki Kudo begins working at a private security organization E.G.I.S. (Enterprise of Guard and Investigation Services). 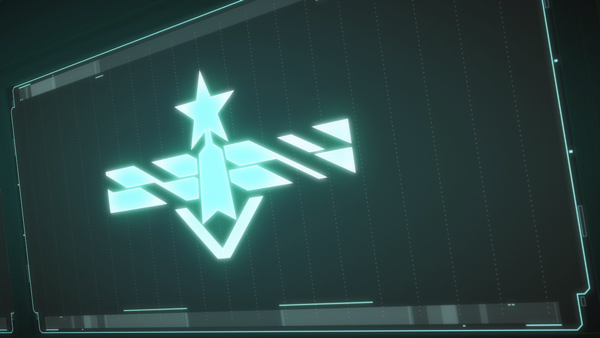 The organization takes care of cases related with aliens, and Hiroyuki works day and night to protect peace. However, there lies a huge secret in him, which he himself is not aware of. 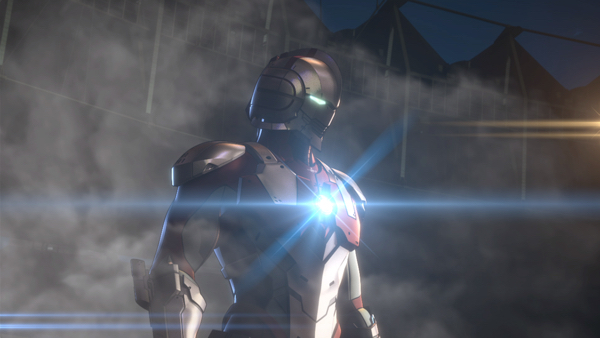 He carries Ultraman Taiga’s “particle of light”. The new story begins as Taiga’s powers revive from Hiroyuki’s body! 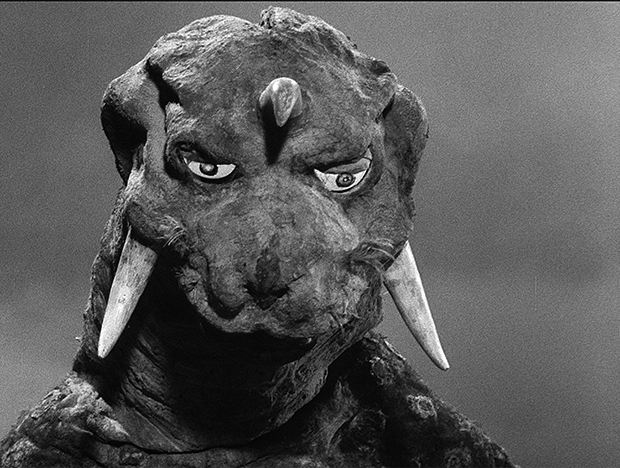 The son of Ultraman Taro (first appeared in ULTRAMAN TARO (1973)), who once saved the Earth. Deep inside, he wishes his father Taro to understand and recognize him, but he cannot admit his true feelings. He has a strong sense of justice and is very enthusiastic. Along with Titas and Fuma, he founded the “Tri Squad”. 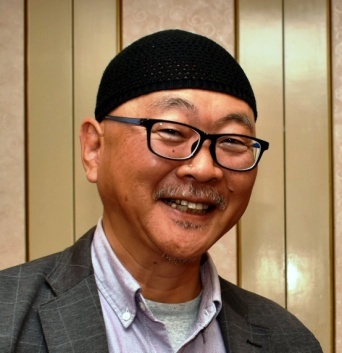 Although still young and not skilled, but he dedicates to fight for peace on Earth. Together with Hiroyuki, he grows to become a true Ultraman. The second Ultraman that dwells inside Hiroyuki. 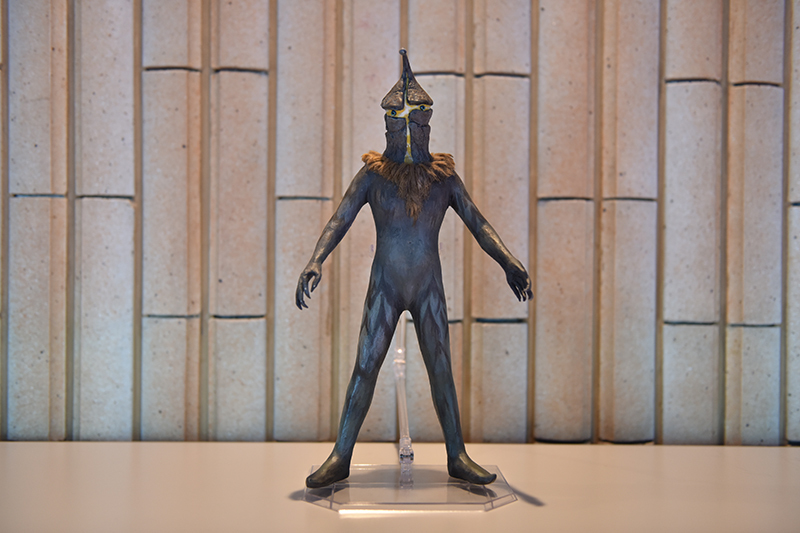 Ultraman Titas is a warrior and a sage from Planet U40, the birthplace of Ultraman Joneus (first appeared in THE ULTRAMAN (1979)), as opposed to the Land of Light in Nebula M78. With his carefully trained body and healthy spirit, he is skilled in heavyweight battles. The third Ultraman that dwells inside Hiroyuki. 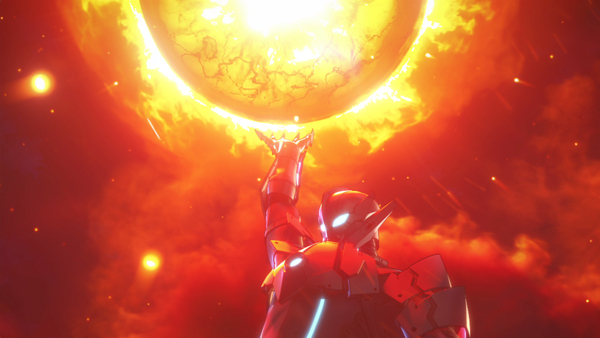 Ultraman Fuma is from Planet O-50, the planet where Ultraman Orb (first appeared in ULTRAMAN ORB (2016)), Rosso and Blu (both first appeared in ULTRAMAN R/B (2018)) acquired the power of the warrior of light. He has quick reflexes and various techniques that make him strong in battles that require speed. He has a rough personality, but also a strong sense of duty. 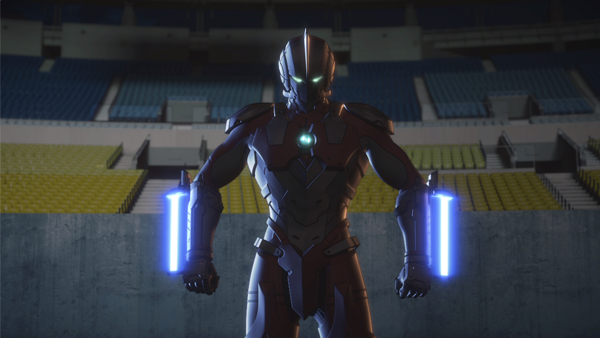 An evil Ultraman that first appeared in ULTRAMAN R/B The Movie (2019). 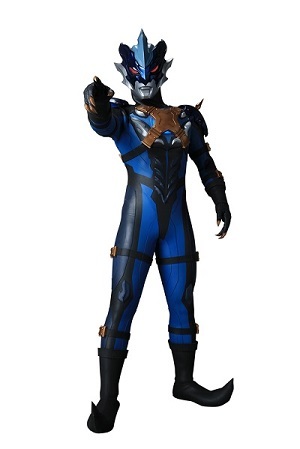 He is from Nebula M78 and was originally a close friend of Ultraman Taro, but fell to the dark side. He is the arch-nemesis of Taiga and relentlessly targets him. 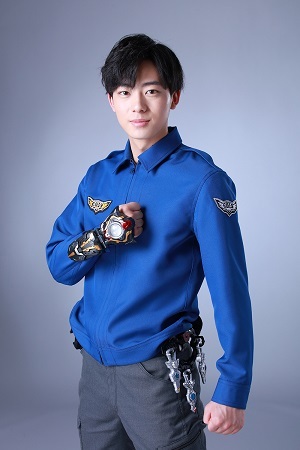 A young member of the private security organization E.G.I.S, Hiroyuki has a kind heart and a strong sense of justice. He was attacked by an alien when he was a child, but was saved by the light of Ultraman Taiga who unexpectedly arrived on Earth. Since then, Ultraman Taiga dwells inside him. However, Hiroyuki does not know about this, and lives a normal life with a normal family. As the story goes on, he encounters Titas and Fuma as well, and become buddies with them. Hiroyuki has a kind heart that embraces everything, including the unknown. 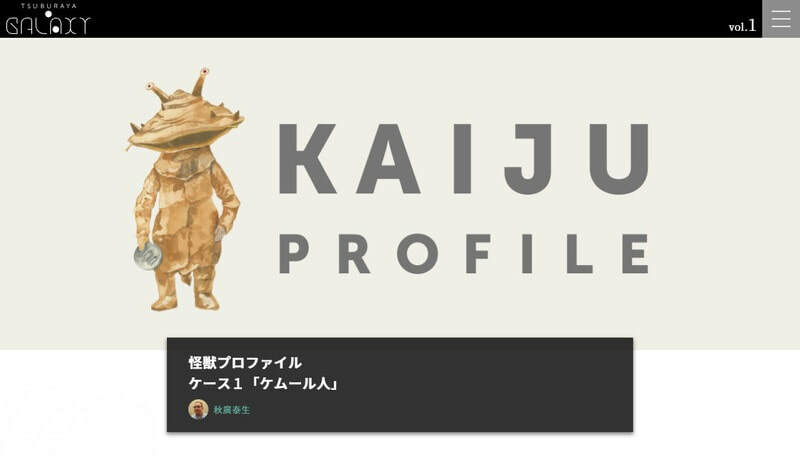 He grows to become the bridge for “humans”, “aliens”, and “Ultraman”. Born on June 6th 1996 (22 years old) in Hiroshima. 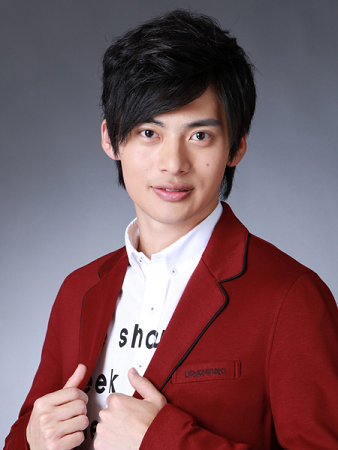 I’m Yusuke Inoue, and will be playing the role of Hiroyuki Kudo, the main character. When I was given this role, I was very happy and excited that I will now be playing Ultraman, a hero I had always admired. Once I told my family, my mother sent me photos of the Ultraman show I used to attend every year since I was 5. These photos reminded me of how much I had admired Ultraman since I was a child. This time I will be giving this feeling to the kids, and I hope to play Ultraman Taiga that will be remembered by many generations. As I just made my debut, the newly employed member Hiroyuki Kudo overlaps with me a lot. With the support of my elder colleagues, I think I am becoming one with the character. 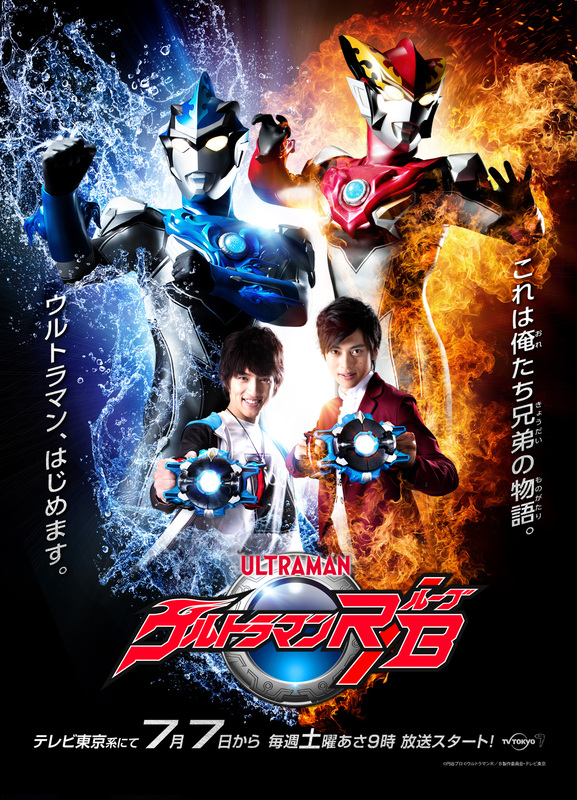 With the amazing cast, staff, and of course those who are watching, I would love for everyone to enjoy ULTRAMAN TAIGA. I would greatly appreciate your passionate support! 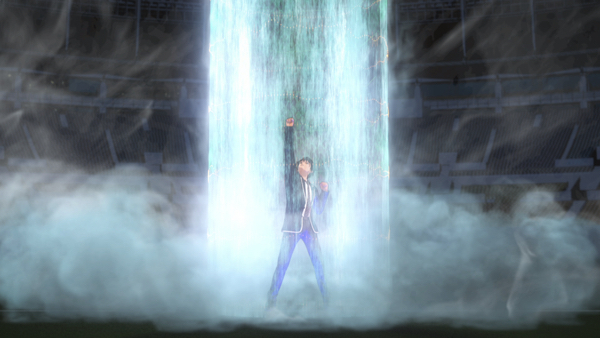 Once the hidden Ultra Energy is released, it can connect the bonds between humans and Ultraman. 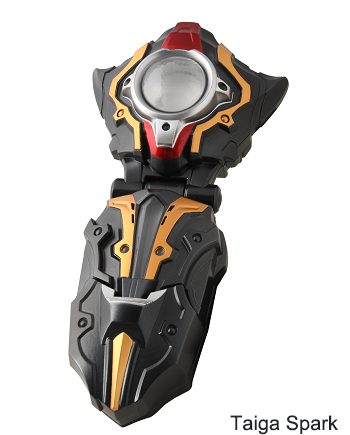 By leading the Ultra Taiga Accessory with the Taiga Spark, one can borrow the powers of heroes and monsters sealed inside. Items with powers of Ultra Heroes and monsters sealed. Different types exist such as key chains, bracelets, and rings. 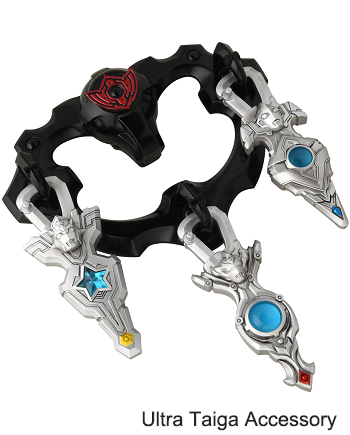 Key chain type is used when transforming into Ultraman Taiga, Titas and Fuma. “New Generation Heroes” series is the group of TV series created by Tsuburaya Productions and aired on TV Tokyo, ever since ULTRAMAN GINGA which came out on 2013. The following TV series are also included: ULTRAMAN GINGA S (2014), ULTRAMAN X (2015), ULTRAMAN ORB (2016), ULTRAMAN GEED (2017), ULTRAMAN R/B (Ruebe) (2018), and ULTRAMAN TAIGA marks the 7th of the series. 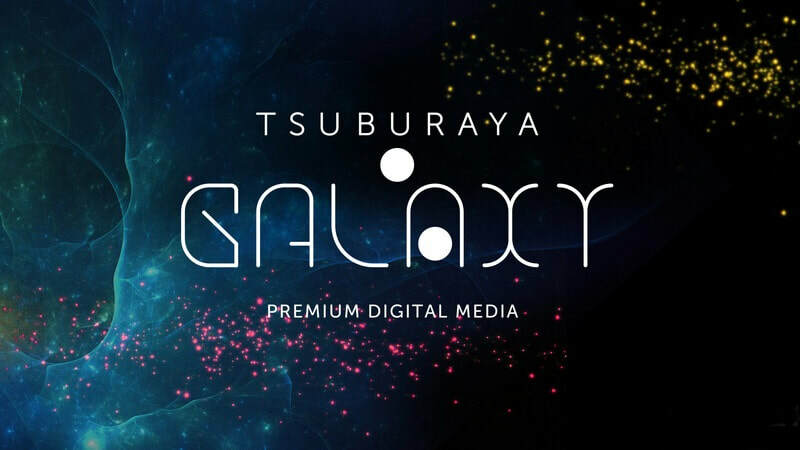 Tsuburaya Productions has announced the dates for TSUBURAYA CONVENTION 2019, Dec 14th and 15th 2019, at the Tokyo Dome City (an entertainment complex). The convention is a collaboration between Tsuburaya and Kaiyodo's Wonder Festival. 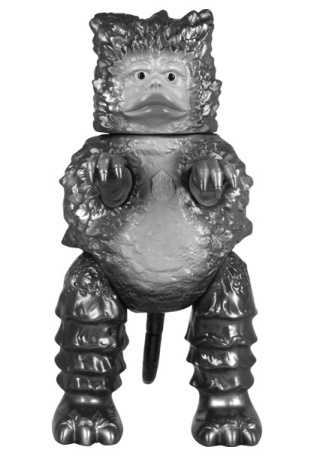 Check out the info from Tsuburaya below, and we will post more info once available. The above quote from Eiji Tsuburaya, the founder of Tsuburaya Productions, is the roots of Tsuburaya Productions and our continuous goal for the future. 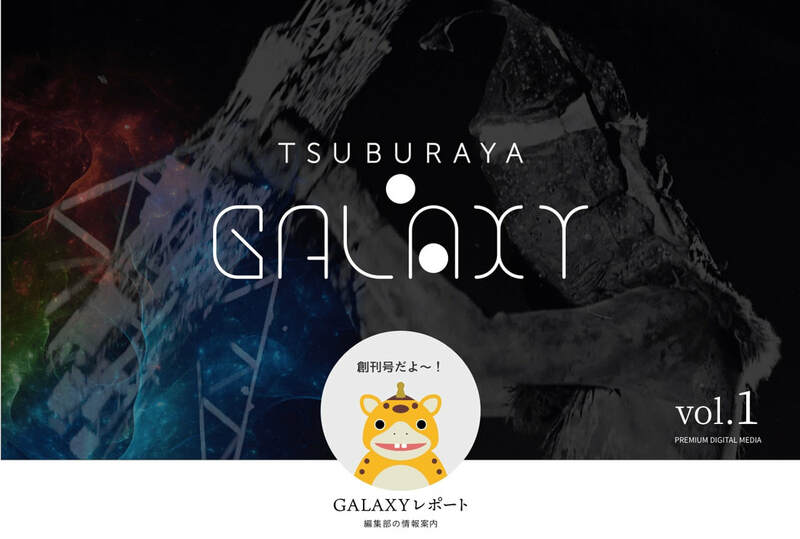 This large-scale global fan event “TSUBURAYA CONVENTION” will be held for the first time to show our appreciations to all our fans across the universe who have supported us until now. 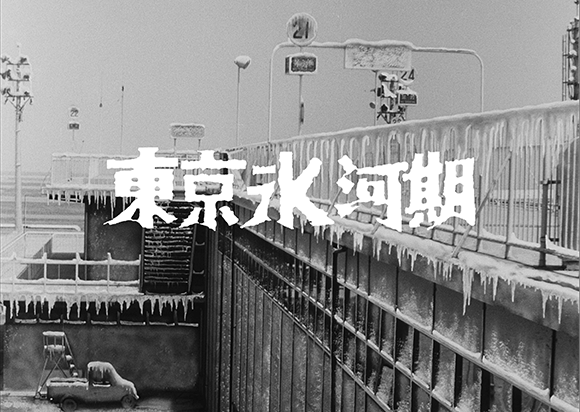 We shall be sharing the front line of Tsuburaya Productions where surprises and excitement are imagined and created, and we shall also be revisiting the classic works seeking for new discovery by investigating the works from unique and diverse angles. The main venue of “TSUBURAYA CONVENTION 2019” will be set in Tokyo Dome City, with activities planned for a large stage with various guests, a diverse event program for core fans and families and the largest Ultraman related merchandising store ever assembled will be held in different facilities within the venue. Furthermore, we will be holding “TSUBURAYA Wonder Festival” together with KAIYODO Co., Ltd.. Pre-registered dealers (corporate and personal) may exhibit and sell their works during the event in the venue. 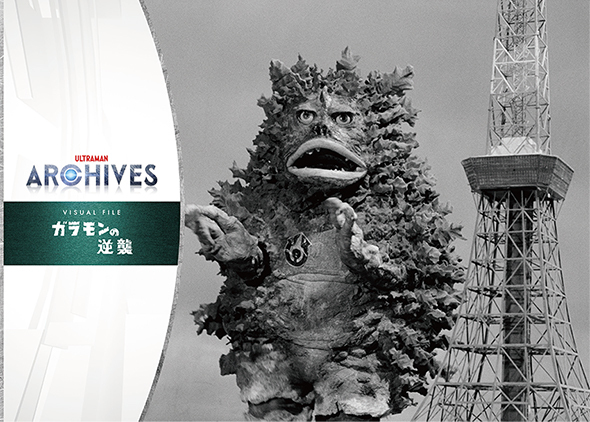 Tsuburaya has announced their second presentation for the Ultraman Archives project to take place on Feb 16, 2019. 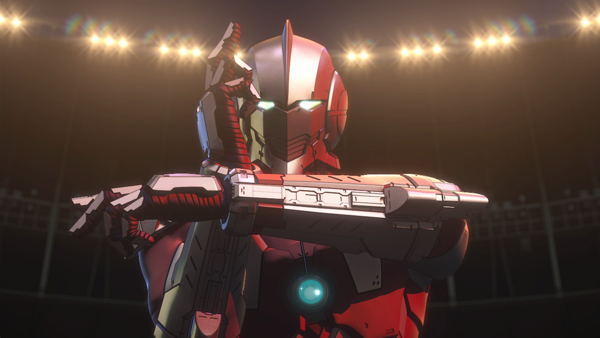 The Ultraman Archives Premium Theater Screening & Special Talk will be held at Ion Cinema Itabashi, it will feature Katsuro Onake and Mitsui Toshio as speakers, as well as a screening of Ultra Q - Counterattack of Garamon. It will be show live at 14 theaters around Japan, tickets are 3,000 yen for the main presentation, 2,000 yen at the other theaters. 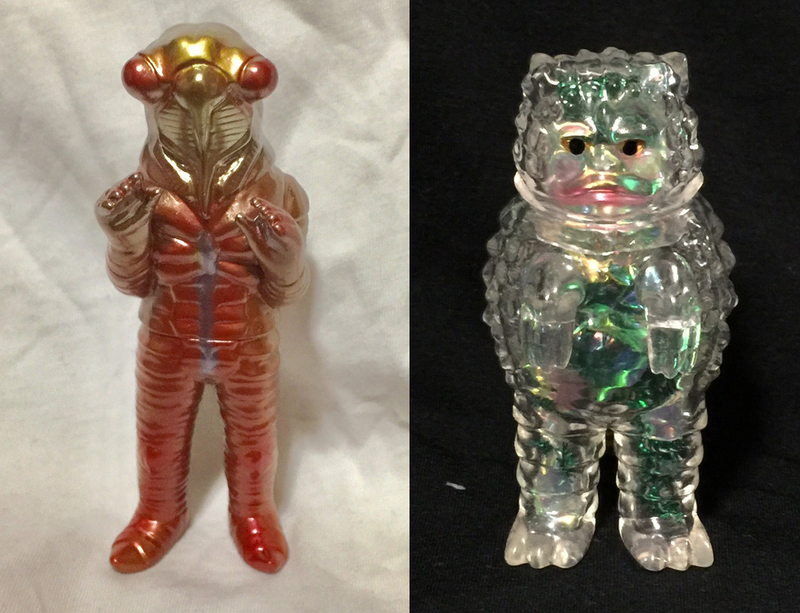 Also to go along with it limited items will be sold including a clear file (1,019 yen), and vinyl figures, Reprinted Garamon Ion Cinema Limited Color (by M1, no price yet), "Bill Box" Monster Series BB Clear Garamon Ion Cinema Limited Color (by USToys, 3,000 yen), and Semi-human & BB Clear Garamon Ion Cinema limited color set (by USToys, 6,700 yen). They have also given a hint at the next two presentations, Ultra Q "Cocoon of Kanegon", and ​Ultra Q "Tokyo Ice Age". 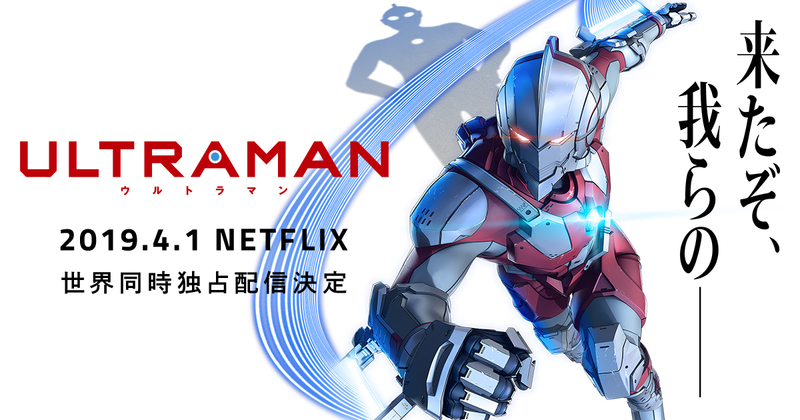 Info has been released on the Ultraman Anime to be released on Netflix, including the trailer, and release date April 1st, 2019. The directors are Kenji Kamiyama and Shinji Aramaki, and the main voice actors are Ryōhei Kimura, Takuya Eguchi, Megumi Han, and Tanaka Hideyuki. The series is 13 episodes (hopefully more if it is popular), and will be released all at once. Below is the intro and story from the official website as well as the trailer and stills. His name is Shojiro Hayada. A new story that the man who was once Ultraman, Susumu Hayasuda struggles as much as possible to become a new generation Ultraman opens the door here! ! "Ultraman" first appeared on TV in 1966. About a half century passed, in 2011, the comic "ULTRAMAN" (original: Eiichi Shimizu × Tomohiro Shimoguchi Monthly Heroes series) appeared. 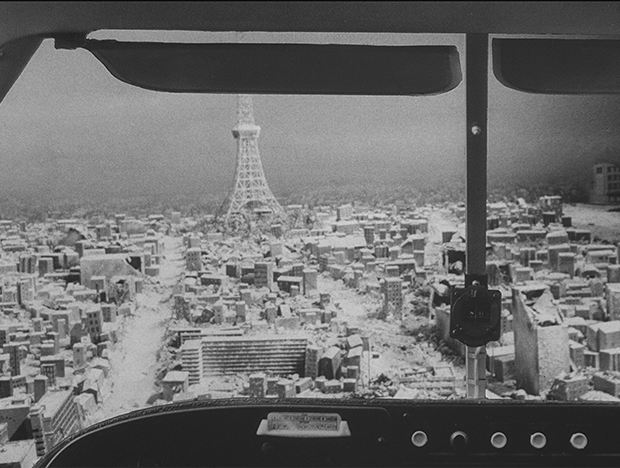 "ULTRAMAN" draws the world after Ultraman left the earth. Ultraman as a "life-sized hero" fighting wearing a reinforced suit of steel is a son of a former hero who has life-sized troubles, the new world view that this work has opened up is many young people Received sympathy and support from the group, cumulative issue of comics has become more than 2.80 million copies hit. 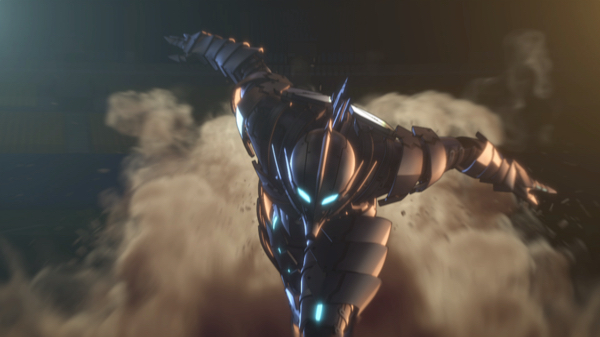 "ULTRAMAN" will also challenge a new world for animation. 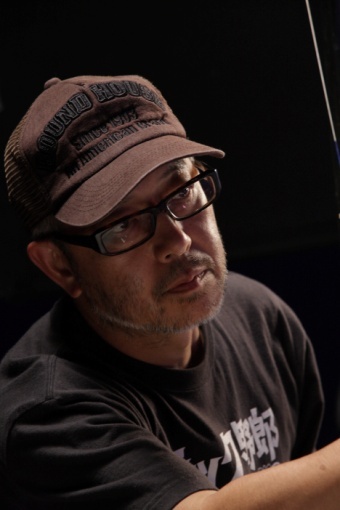 The work is directed by Kamiyama Kenji of "Ghost in the Shell SAC" series, "Hinune Hime ~ A story of unknown I" and Director Shinji Aramaki of "APPLESEED" "Starship Troopers Red Planet". 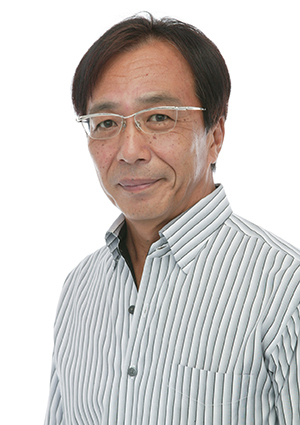 Director Kamiyama, who has received tremendous support from both domestic and international animation fans with a heavy SF setting and a story tailing of multilayered human drama, is the forerunner of full 3D CG animation movie in Japan, CG mechanic gadget Director Aramaki who is highly evaluated abroad in action direction. 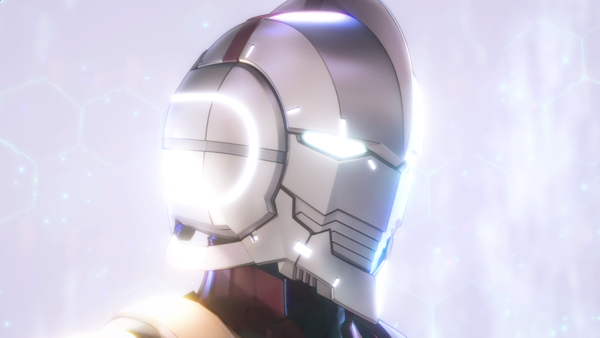 "ULTRAMAN" which is handled by two people system by gorgeous creator who the world draws attention is produced as full 3D CG animation. 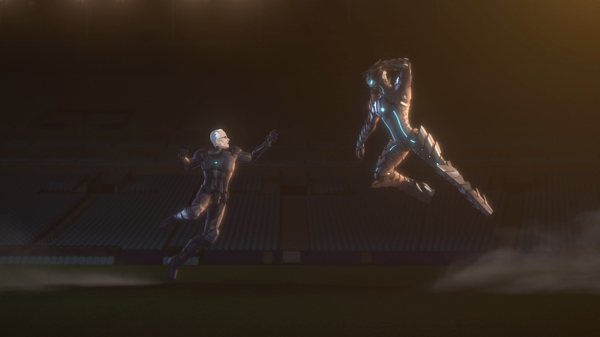 Production IG × SOLA DIGITAL ARTS is in charge of animation production in which the precise texture of Ultraman Suit by 3DCG and dynamic action unique to animation fuse and leap into the production with the introduction of motion capture technology that reflects actor's performance in the character . 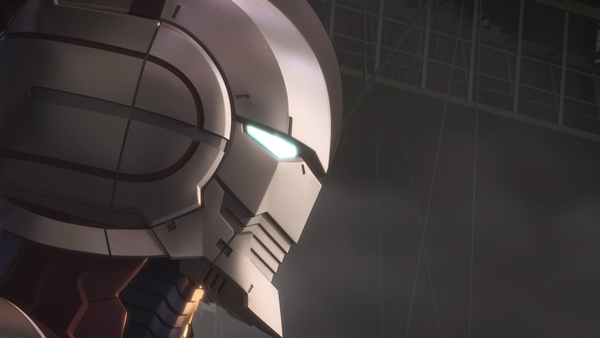 The hero Ultraman that Japan boasts of the world now becomes "ULTRAMAN" of animation work, opening a new history towards the world. There used to exist in this world as a giant of light. Eventually the light giant finished its role and returned to his hometown in the distant universe and the assimilated Earthling person returned to the place where he should stay by losing his memory until then It was. The existence of Ultraman became a thing of the past, and the Science Special Forces Japan branch had also changed its appearance to the giant memorial hall of light after finishing its role. 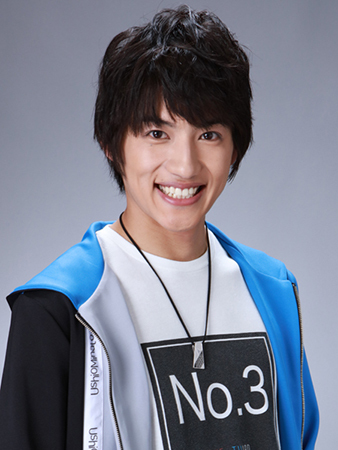 Shojiro Hayada is a high school student who has a pleasant adolescence. However, he realized that he had power that was not "ordinary" separated by humans, such as amazing jumping power and sturdy flesh. 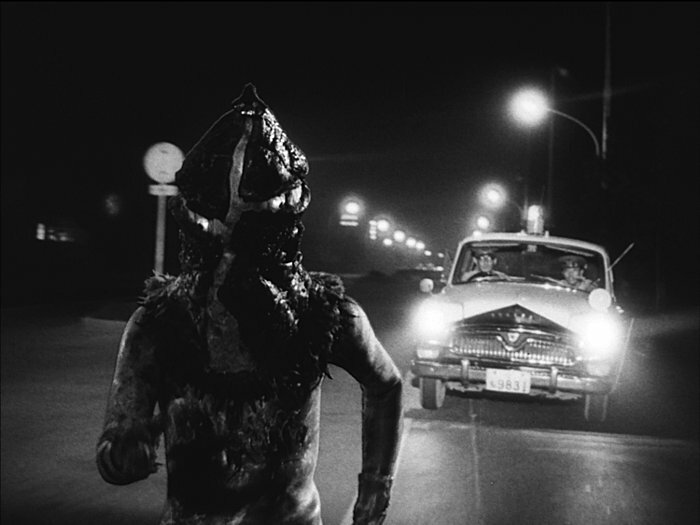 One day, Shojiro knows that his father, Mr. Hideharada, was once Ultraman. And the existence of aliens that dance to earth without Ultraman. Shinjiro was one of the few conformers who could wear Ultraman Suit developed by Ide of a science special forces who is as secret organization. 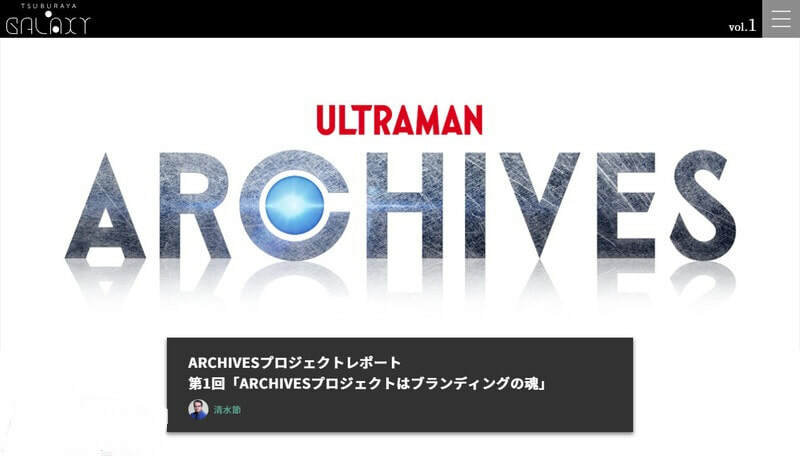 "Tell me straight away - I want you to become Ultraman"
Tsuburaya has announced a new project, the Ultraman Archives, a new initiative to generate interest in Ultraman especially for a new generation (mainly younger people). It will kick off with a talk and screening on November 17 in 14 theaters in Japan and continue with other items down the line. The talk and screening will include talks by director Toshihiro Iijima, anime artist Naoki Urasawa, and a screening of the Ultra Q episode Challenge of Year 2020 (19th episode). Down the line there will be video releases of older shows, books, figures, art sets, and more which will be released starting in Nov 2018 all with the Ultraman Archives branding. 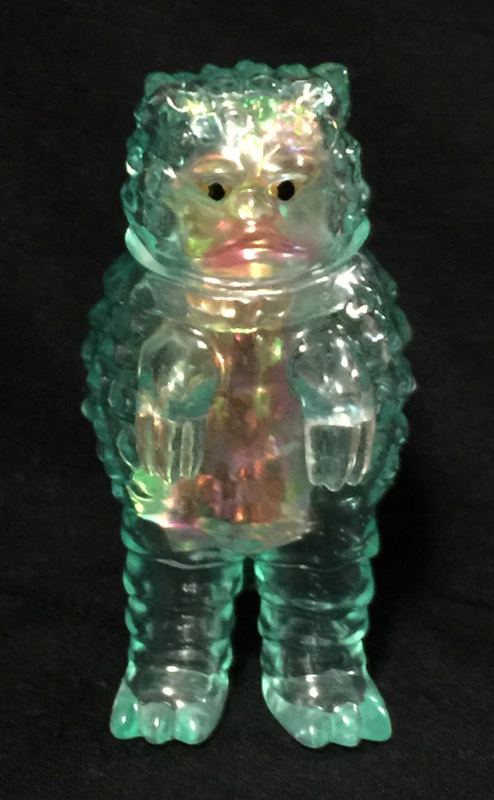 Check out the release from Tsuburaya's website below (translated to english). A new project "ULTRAMAN ARCHIVES (Ultraman Archives)" was launched today to announce the charm of the Ultraman series work to more people, such as the young generation who has never been seen before, on 10/15 (Monday) today It was. Produced by Tsuburaya Pro, the "Ultraman Series" that has been in existence for more than half a century, not only the character nature of heroes and monsters, but also the works themselves such as the world view and the theme are highly acclaimed. The new project "ULTRAMAN ARCHIVES", which was launched this time, will spot the successes of numerous "Ultraman series" works. We convey new attractiveness in a variety of forms such as materials at the time, testimonies of production personnel, the viewpoint unique to modern times, reviews with opinions from external experts, publication, commercialization and so on, and this It is a project that people who have never seen a work until now can fully enjoy it. "ULTRAMAN ARCHIVES" Premium Theater Special Talk & Screening "will be held at Ion Cinema Itabashi on Saturday, November 17 as the first step of the" ULTRAMAN ARCHIVES "project start. On the day, Mr. Toshihiro Iijima, manga artist Naoki Urasawa started a special talk and screened "2020 challenge" from "Ultra Q" broadcasted in 1966 and became the origin of "Ultraman series" . Moreover, at the live viewing on that day, it is planning to enjoy at the same time at 14 ion theaters in the whole country. 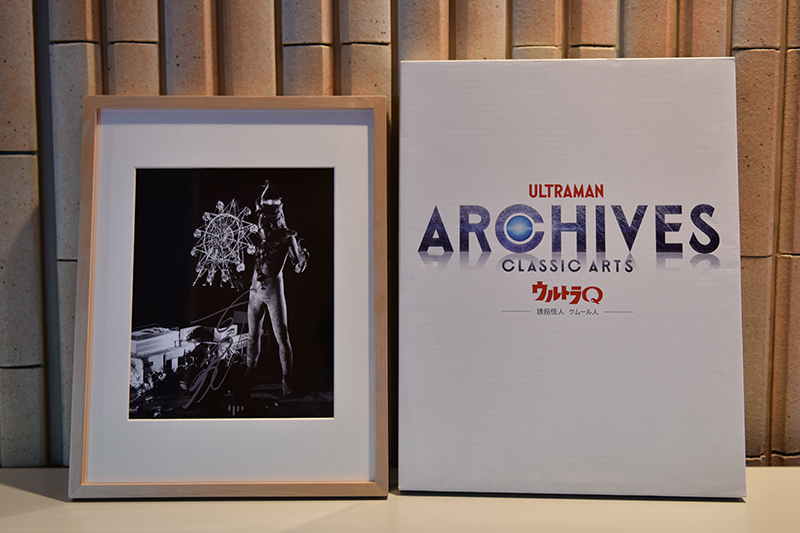 "ULTRAMAN ARCHIVES" will continue to spread the spotlight on various successive works, and will spread the appeal of the work by developing it vigorously, such as videos, books, special products, etc. * The talk event was held at Ion Cinema Itabashi. Other theaters will be live viewing of Ion Cinema Itabashi. a testimony, record, and a test by the staff cast about carefully selected episodesfrom "Ultra Q"Developed Blu - ray & DVD set products that included reviews of critics of each discipline and packaged. 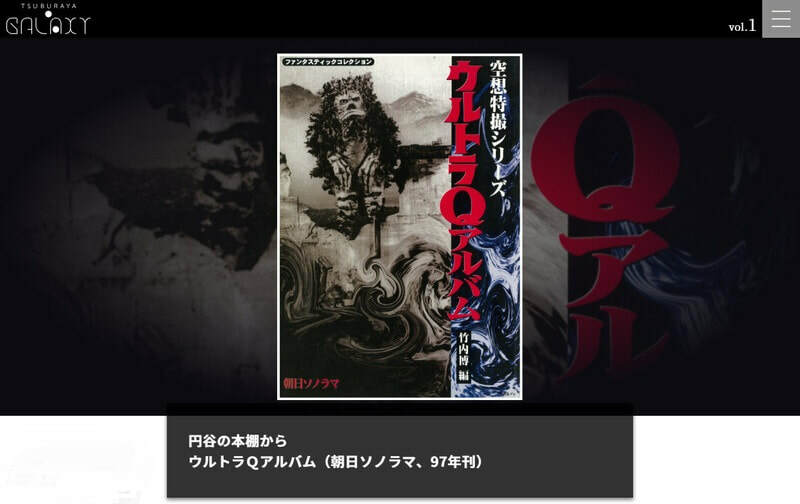 It is recorded with HD remaster monochrome version and 'Total natural color Ultra Q' (color version) colorized in 2011.
specifications: Blu-ray & DVD set items Blu-ray and DVD contain the same content I will. * For details on release schedule, etc., planned for release at a later date. Since then, will be released sequentially from "Ultra Q" "counterattack of Garamon", "cocoon of Kanegon", "Tokyo Ice Age"
"ULTRAMAN ARCHIVES VISUAL BOOK 2020 Challenge"
From the original negative shot with the same 35 mm film as the theatrical movie, use the material newly scanned with high resolution this time, reproduce the work brilliantly with the powerful scale that exceeds the TV frame . ULTRAMAN ARCHIVES "CLASSIC ARTS" "Ryosaku Takayama work monster doll" Kemei ""
One of the monster models that Mr. Ryosuke Takayama played a central role in the early Ultraman series monster modeling was not commercialized at the time of production First commercialization based on the prototype. 2020 challenge "The scene of the scene Steel photograph is clearly processed to high level. Adopt handmade method which is also called art museum specification, backing with each frame. Valuable frame art product with autographs of Mr. Toshiharu Furuya who acted Kemur people. 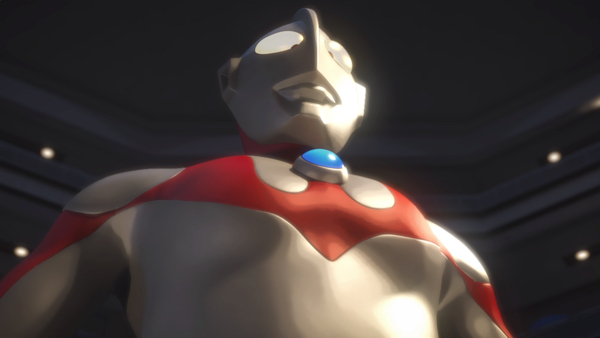 Ultraman USA an animated work co-produced with Hannah Barbera Productions in America is coming to Blu-ray September 26. It was originally broadcast in October 1987 in the US. 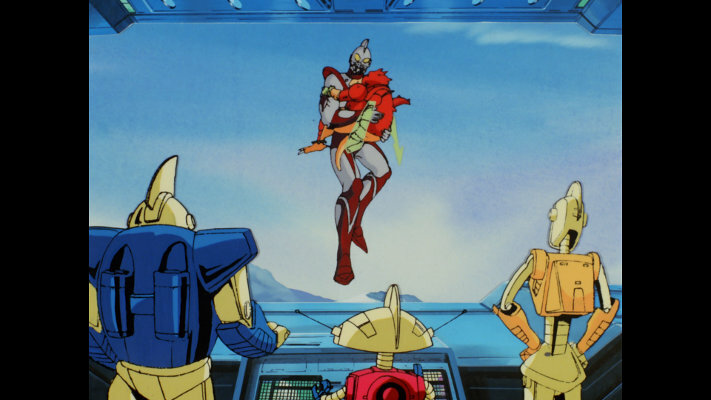 In Japan, in April 1989 entitled "Ultraman Tournament (Festival)" it was released to the theaters along with animate shorts, and later on VHS in September 1989 and LaserDisc in July 1991, but this It was never made into DVD. Below is the release from Tsuburaya (translation may be off slightly). Highly awaited! A phantom masterpiece is a vivid image and it is revived for the first time in 27 years! 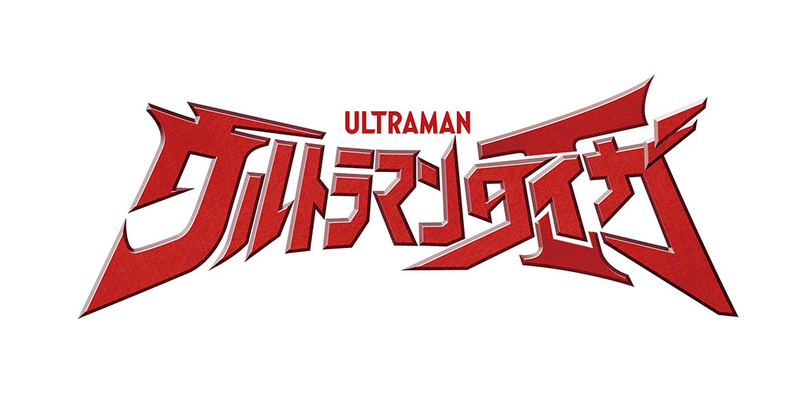 Tsuburaya Pro has decided to release on September 26 (Wednesday) Blu-ray of "Ultraman USA" animated work co-produced with Hannah Barbera Productions in America! 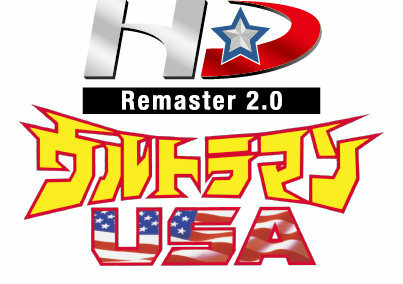 "Ultraman USA" was produced on the concept of "Ultraman with the smell of the United States", and was broadcasted in the whole country in October 1987. 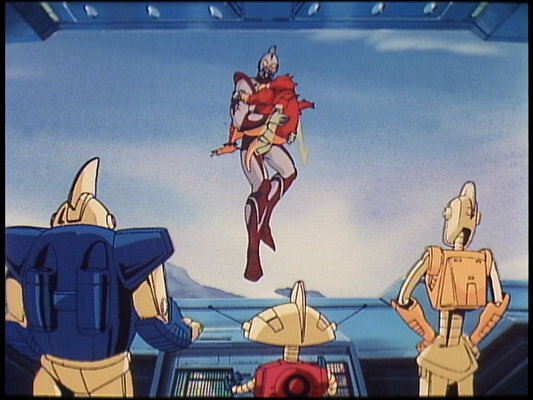 In Japan, in April 1989 entitled "Ultraman Tournament (Festival)" was released to the theaters along with short animated images, and later VHS was released in September 1989 and LD in July 1991, but this It was not made into DVD. In addition to the usual Japanese version, this time the first edition of the above-mentioned English version "ULTRAMAN: THE ADVENTURE BEGINS" main part is included in Blu - ray conversion this time. It converts 35 mm negative film (original) to digital data with high vision resolution and revives in 27 years with vivid images. ※ Specifications and designs are subject to change without notice. One planet, Sokin in the M78 nebula caused an unexplained explosion. 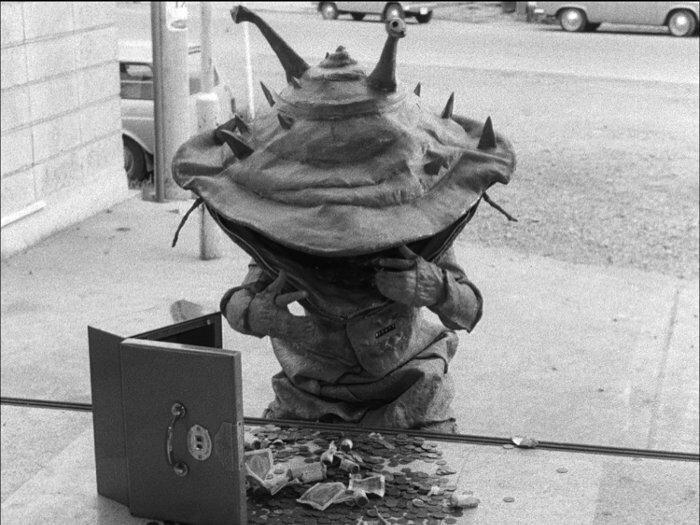 The planet tribe Sokin Monster became a huge meteorite and scattered in the universe, one of which flew to the earth. The meteorite diverged with the intrusion into the atmosphere and fell to various parts of the North American continent. Members of the US Air Force / Acrobatic Team "Flying Angels", Captain Scott Masterson, Captain Chuck Gavin, Lieutenant Beth O'Brien triggered a strange event in an accident during a flying show, Because of Ultra Team "Ultraman who came from the M78 nebula pursuant to the monster, he knows that each one is united. 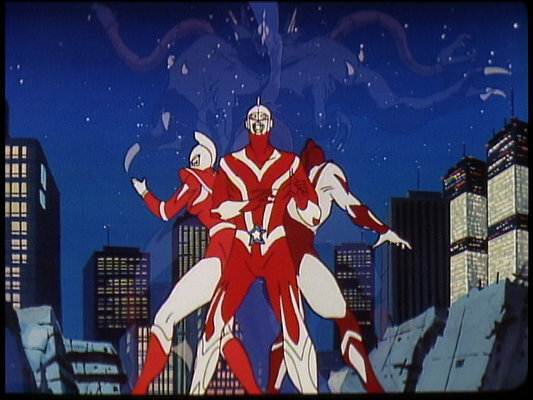 The three who received a serious mission were Ultraman Scott, Ultraman Chuck, Ultra Woman Bess, "Ultra Force" as a new vow to peace, challenging the battle with the Sokin Monster. Beth O'Brien (Ultra Woman): Tsuru Hiromi etc. Seedward Character Design: Kazuo Iimura / Hero Design: Yoshida etc. Directed by: Matsukawa Lu et al. "Ultraman Tournament" which was released in theaters in 1989 was mainly composed of long animation work "Ultraman USA", "Ultraman Fear Route 87", Ultraman A Great Ant Super Beast vs. Ultra Brother "" Ultraman Kids ", and" Ultraman Kids "was inserted as a work introduction at the beginning of each work forming the core of the program. In this product, only the "Ultraman Kids" part here is gathered and recorded as privilege video. 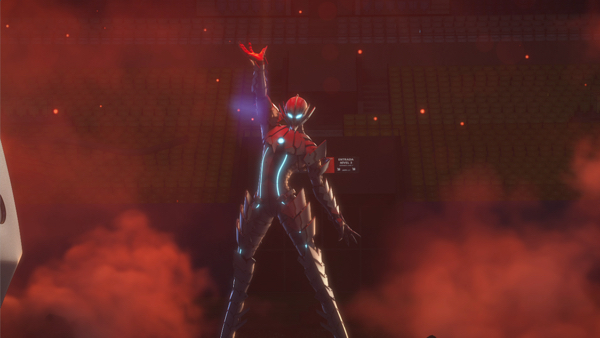 A new Ultraman TV series will hit July 7th on TV Tokyo, Ultraman R/B (RUEBE), it features two brothers that become Ultraman Rosso and Ultraman Blu. Check out the info below as well as a teaser video (note info translated from Japanese). Ultraman R/B (RUEBE), a new TV program engraving a new page in the history of the Ultraman series, will be released on July 7, 2018 (Saturday, July 7, 2018) on the TV Tokyo series as the 6th work of the "New Generation Hero" As soon as 9 o'clock broadcast will start! "Ultraman R / B" - this is the story of our brothers. Ultraman, will begin. Hero and brother Minato Minato and his younger brother Isami live together with a sister of a high school girl and a father who runs a select shop. 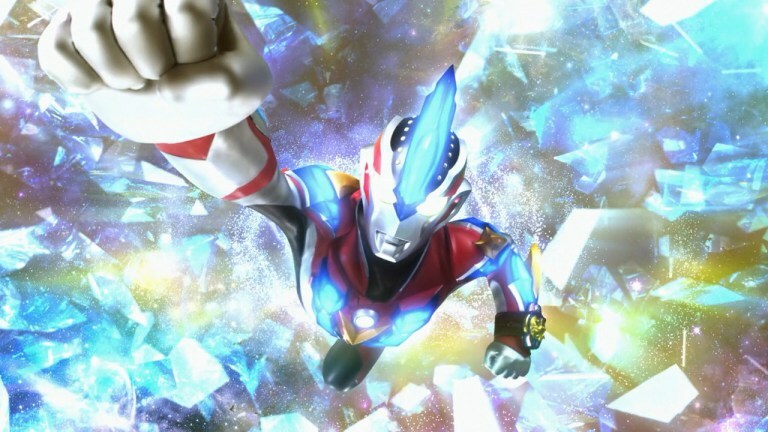 Brothers of Katsumi, Isami, one day get the Ruby Gyro and Lube Crystal, the older brother turns into "Ultraman Rosso" which housed the element of fire, and the younger brother turned into "Ultraman Blu" which housed the element of water. It is a continuous TV drama which can be enjoyed as a story of the bond of the "family" surrounding the brothers, as well as being a special action action film that draws a figure that brothers of Minato are sometimes colliding and growing together to face a mighty enemy. .
Brothers hero of Fresh Cast played by Yosuya Hirata and Ryosuke Koike! In this new series that pursued the charm of the Ultraman series more than one enemy with deep speculation appeared, a story that the viewer can not predict will be deployed. A story centered on "bonds" and "love" which the hero brothers are aware of important things that they tend to forget because they are close to each other by hitting their ally and enemies with their strong feelings I will. voice, below right) and Freshcast plays a brother hero I will perform it. New Ultraman Movie Double Feature to have theatrical screenings at select theaters across the U.S. .
HOLLYWOOD, CA – December 5, 2016 – Japanese studio Tsuburaya Productions Company Ltd., and their U.S. distributor William Winckler Productions, Inc., have secured select U.S. theatrical play dates for their new, English dubbed , 50th Anniversary feature film of Ultraman, titled ULTRAMAN X THE MOVIE, along with their new English dubbed film ULTRAMAN GINGA S THE MOVIE, as a special “Double Feature” presentation starting January 8th, 2017. The Chicago Music Box Theatre, Cleveland Cinemas, the Alamo Drafthouse Cinemas, Northwest Diversified Entertainment Theaters, Keystone Cinemas, and other U.S. theaters have signed on for the special limited theatrical screenings of the new Ultraman Movie Double Feature. The world famous Ultraman character was created by Mr. Eiji Tsuburaya in 1966. Mr. Tsuburaya was the special effects creator of Godzilla and many other classic Japanese movie monsters, such as Rodan, Mothra, King Ghidorah, and the Gargantuas from the Russ Tamblyn cult film War of the Gargantuas. Tsuburaya Productions Co., Ltd. has produced numerous feature films and TV series over the past fifty years, with Ultraman being the company’s most famous character/brand/franchise. The double billed movies feature all new Ultraman superhero characters. Over the past thirty-two years, William Winckler Productions has written, produced and directed the American English language versions of Japanese anime and live-action films and TV series. The Los -Angeles based company is run by producer William Winckler, whose past select credits include Tekkaman the Space Knight, Gaiking, Danguard Ace, Starzinger, Dead Rising, Fist of the North Star, and Space Pirate Captain Harlock. When realty TV host Carlos Kurozaki breaks into a mysterious underground pyramid for a television event, he removes a special gem. 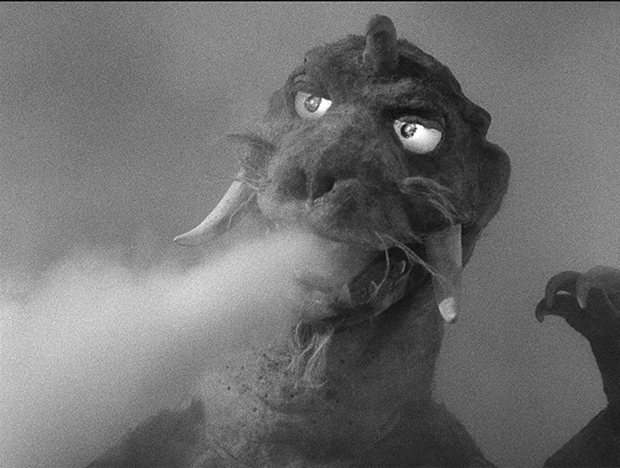 . . and unwittingly releases a diabolical monster called Zaigorg! 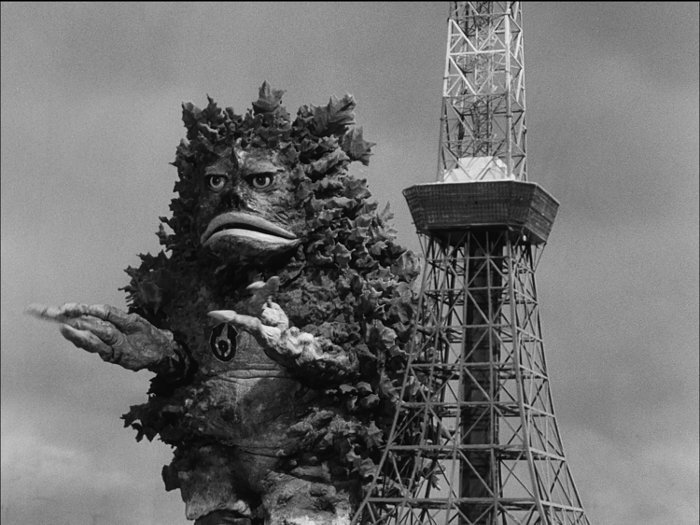 The evil creature wants Kurozaki’s gem, so it spawns an army of giant kaijus to get it! It’s up to the famous superheroes Ultraman X, Ultraman Tiga, and the one and only original Ultraman to stop the worldwide monster war! ULTRAMAN X THE MOVIE is the special 50th Year Anniversary film of Tsuburaya Productions iconic superhero character ULTRAMAN. Running time 70 minutes. 2016. Starring Kensuke Takahashi, Akane Sakanoue, Takami Yoshimoto, Michael Tomioka. Directed by Kiyotaka Taguchi. English dubbed version by writer/producer/director William Winckler. A sinister space warrior, Etelgar, forces a beautiful young alien princess, Alena, to use her magical mirror to trap every Ultraman hero in the Galaxy! 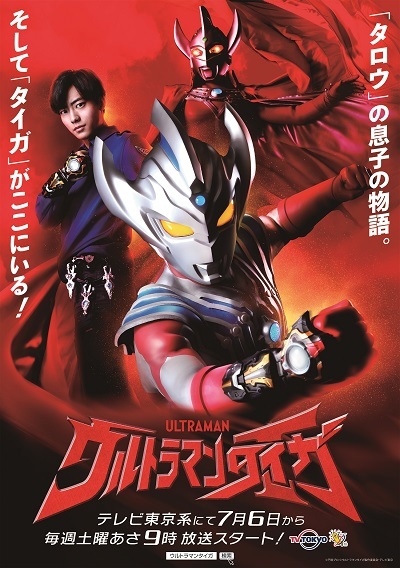 In order to stop Etelgar and save the princess and their fellow Ultramen, two brave young men, Hikaru and Shou, must each transform into new Ultra-heroes, Ultraman Ginga and Ultraman Victory, and combine their super-powers! Thus begins an epic battle of the greatest Ultraman heroes teaming up to defeat Etelgar and his army of villainous space warriors! 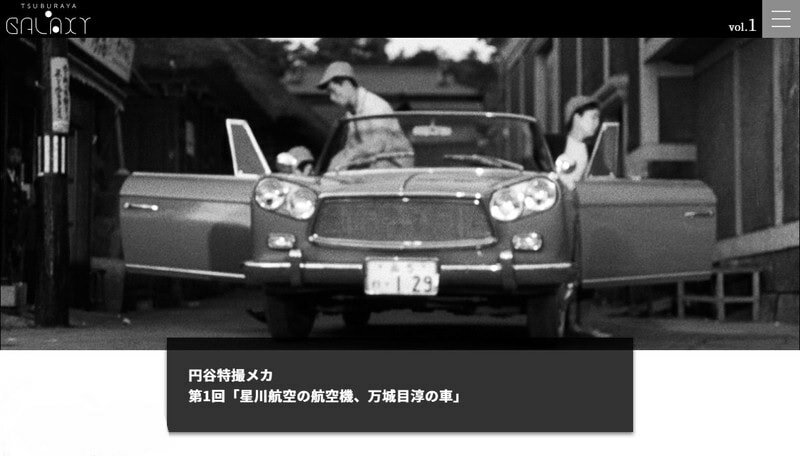 Starring Takuya Negishi, Kiyotaka Uji, and Arisa Komiya. Directed by Koichi Sakamoto (POWER -RANGERS). English dubbed version by writer/producer/director William Winckler. ​Trailers from Bradford Hill on Vimeo. Press release via ​The Tokusatsu Network.